Like back-to-school sales and the delightful onset of hoodie weather, it wouldn’t be September without a big iPhone reveal event from Apple. 2018 is no different, with Apple holding its annual debut event on Wednesday morning at its Cupertino headquarters in California. Whether you already know everything about the three new flavors of iPhone or not, there was a mess of news to take away from Apple’s big event. 1. New iPhones: The iPhone XS (pronounced “ten-ess”) and XS Max. Apple’s got two new main versions of the iPhone this year: the iPhone XS (ten-ess) and XS Max. In the past, Apple has released its new iPhone alongside a “Plus” model — since the Max is “bigger than Plus size,” Apple’s calling it something different. With a 6.5-inch “Super Retina” OLED display, the iPhone XS Max is a giant. It’s got a giant-sized price tag to match: The iPhone XS Max starts at $1,099, with 64 GB of storage, and goes all the way up to $1,499 with 512 GB of storage. The iPhone XS directly replaces last year’s iPhone X at the now standard iPhone price of $999 to start. The screen size stays at 5.8 inches, and the phone in general looks verysimilar to last year’s model. In the camera department, both the XS and XS Max have two 12-megapixel lenses on the back. Apple is touting a new feature called “Smart HDR,” which seamlessly blends several different image frames into a single image. In short, the function is intended to make photos look sharper and have more natural light. Another new camera trick is adjustable bokeh — you can snap a photo, and then adjust how blurry or sharp the background of your subject is. But the biggest upgrade to this year’s iPhone model is something you can’t see: A new chip. The “A12 Bionic” chip is said to make the iPhone more powerful than ever. 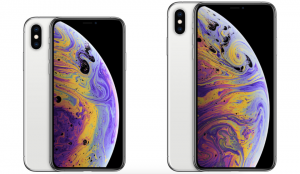 Both the iPhone XS and XS Max are offered in three colors: gold, silver, and space gray. Additionally, there are three storage options for each: 64 GB, 256 GB, and — for the first time in an iPhone — 512 GB. Another notable addition: Both the XS and XS Max support a dual-SIM card system, enabling multiple phone numbers and easier international travel. Pre-orders for both phones are planned to start this week, on Friday, September 14; the phones are otherwise scheduled to be available in stores starting on the following Friday, September 21. 2. A third iPhone: The iPhone XR. Remember the iPhone 5C? It was a low-cost, colorful version of the iPhone 5S that used slightly less expensive materials to produce a very nice, less expensive phone. The iPhone XR is kind of that. Coming in at $749 to start, it’s not exactly inexpensive. It is, however, comparatively less expensive than the iPhone XS ($999). 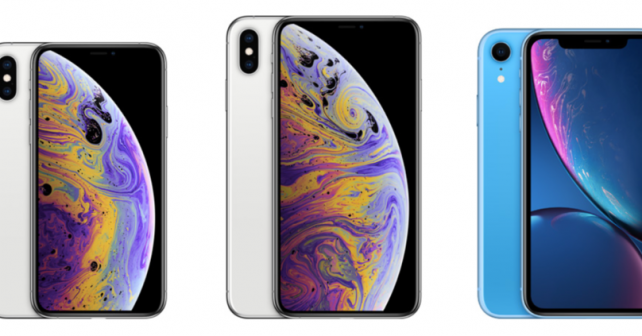 It’s also, size-wise, directly in between the new iPhone XS and XS Max — the iPhone XR has a 6.1-inch LCD screen. That LCD bit is important, because it’s part of why the XR costs $250 less than the XS (enough acronyms for you?). A big part of the absurdly high price tag of the $1,000 iPhone X that launched last year was the OLED screen. The same thing applies to this year’s iPhone XS and XS Max, which also have OLED screens. 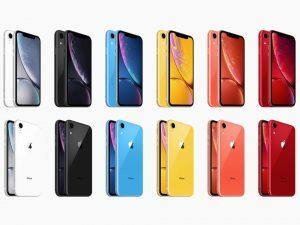 The iPhone XR, internally, is nearly identical to the more expensive XS and XS Max. It’s got the same A12 Bionic chip, powered by the same supporting hardware. It’s got a similarly powerful battery that should carry most users through at least one day of use. It loses 3D Touch — perhaps another measure of the LCD screen — and only has one of the two 12 megapixel cameras found on the back of the iPhone XS and XS Max. But it has one incredible feature that neither the XS or the XS Max has: It comes in yellow. 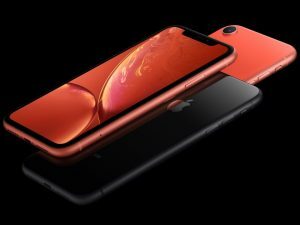 The iPhone XR launches a bit later than the XS and XS Max: It’s scheduled to arrive in stores on October 26, with pre-orders starting the prior Friday, October 19. The iPhone XR starts at $750 with 64 GB of storage, and goes all the way up to $900 for 256 GB of storage. 3. The Apple Watch Series 4 — the next version of the Apple Watch. 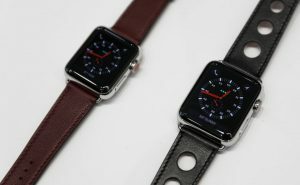 There are two new versions of the Apple Watch in two new sizes: 40 and 44 mm. The screens are slightly larger — 30% larger, Apple says — and they stretch further to the edges than ever before. The Apple Watch Series 4 is an update, but not a major one. It’s got a new, more powerful chip (the “S4”) at its core that promises “up to two times better performance.” The accelerometer has been improved to detect falls, and can auto-dial emergency services when necessary. The digital crown now offers haptic feedback, imitating the feeling of a mechanical dial. The microphone has been moved, to offer better phone calls clarity away from the speaker, and the speaker is now 50% louder than before. 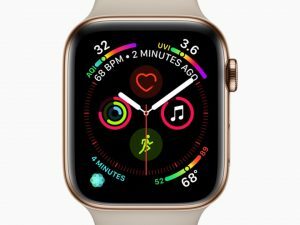 Perhaps most importantly, the Apple Watch Series 4 is a remote electrocardiogram machine — simply touch your finger to the digital crown and it will do its best job at approximating a real ECG. The function has even been approved by the Food and Drug Administration, according to Apple. Additionally, a new function will monitor heart rate for both low activity and for atrial fibrillation (“AFib”). Otherwise, the Apple Watch Series 4 offers the same functionality that millions of Apple Watch users are already intimately familiar with: answering calls, responding to text messages, monitoring health, and lots of other stuff you might otherwise do on your iPhone. The new Apple Watch starts at $399, and comes in Silver, Black, and Gold. Pre-orders start on Friday, with in-store available expected to start on September 21. 4. The Apple Watch Series 3 is dropping in price, starting now at $279. If you’re in the market for an Apple Watch, and you’re looking at the Apple website’s comparison page trying to make up your mind, it’s hard to argue with hard numbers: The Apple Watch Series 3 is $120 less expensive than the equivalent Series 4, and it’s nearly identical. Better still: It’ll get the update to Watch OS 5 when the new software arrives next week, before the Series 4 is even available. 5. iOS 12 is coming, and it’s coming soon! With iOS 12’s arrival next Monday, September 17, Apple is making some major upgrades to its mobile operating system. Perhaps most importantly of all, iOS 12 brings a major boost to older iPhones: 40% faster app launches, 50% faster keyboard pop-up, and a 70% speed increase in camera opening. In short, it will make older iPhones feel new-ish again. Apple’s also adding a bunch of stuff, like Siri Shortcuts. With Shortcuts, you can arrange a series of functions for Siri to perform, and then tie that series of functions to a single command. If you ever find yourself asking Siri to do the same kinds of things with any regularity, this should help speed that up. The new “Screen Time” function tracks how you use various apps, and allows you to set some boundaries. Want to make sure you only use all social media apps for a maximum of 20 minutes every day? Now you can set some hard limits (so at least you’ll know when you’re breaking those limits). Sadly, group FaceTime that supports up to 32 simultaneous participants is still missing from iOS 12 — Apple’s planning to add it later this year.